The inverted kidney grilles create a bold new look, for a fresh take on a distinctive icon. 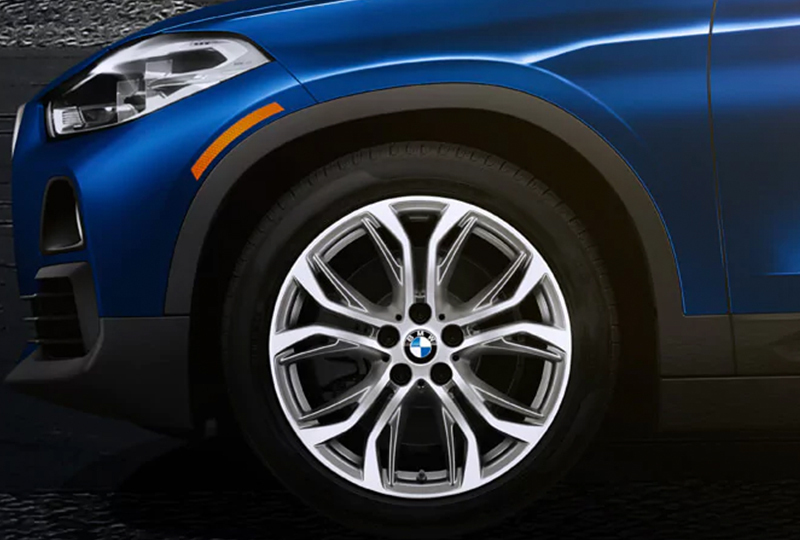 Positioned low like a coupe, the chrome frame and black high-gloss bars of the grille add to the focused, energetic appearance of the X2 ‐ barely containing the power within. 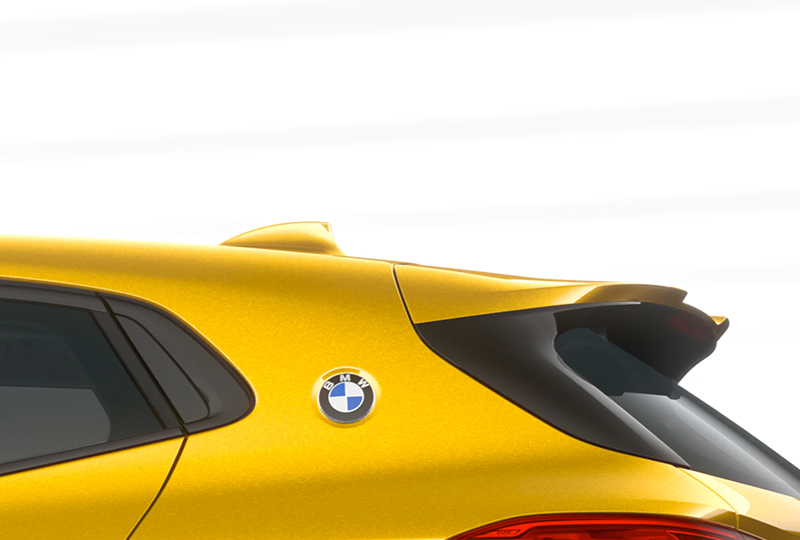 The C-pillar roundel is a bold badge of distinction ‐ a throwback to an era that established BMW's reputation for sporty, aggressive vehicles, and changed automotive design forever. It's a perfect complement to the unique high gloss black B-pillar and the racy coupe-like silhouette of this unconventional X. 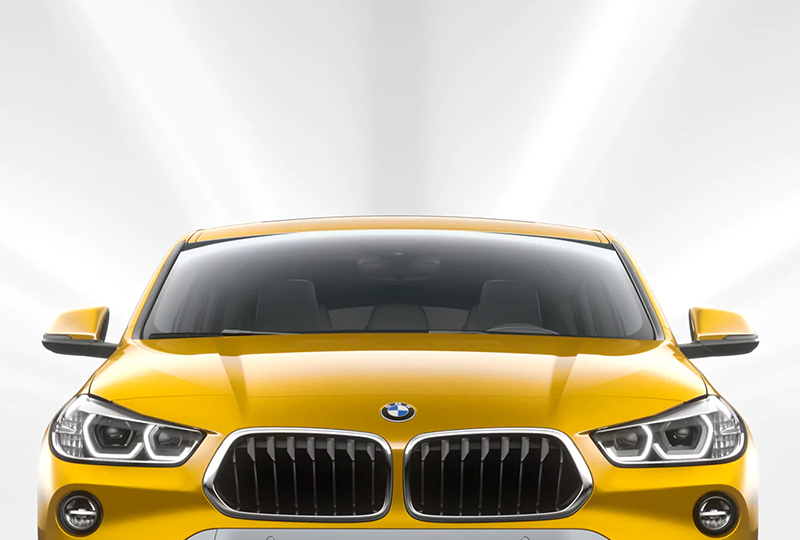 The Simplicity Tier of the First-Ever BMW X2 is anything but basic. The rearview camera and LED headlights with cornering lights give you a clear sight of both what's ahead and what's behind you. 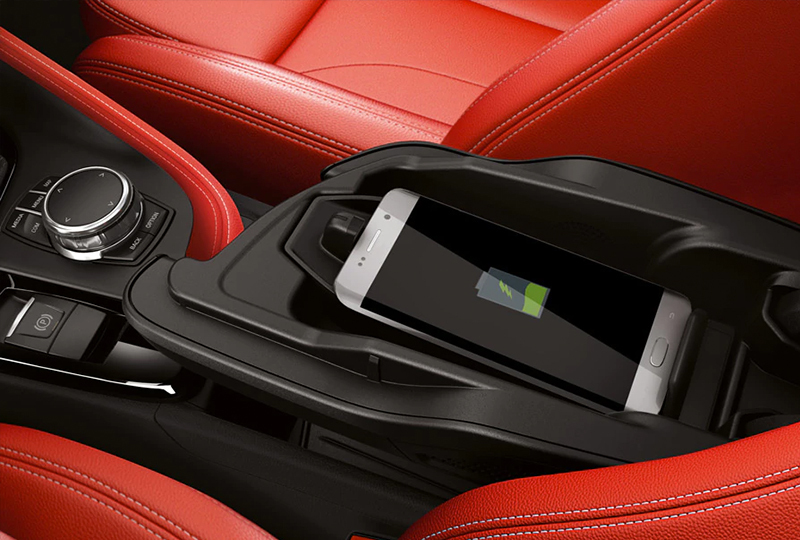 The power tailgate and 6 color ambient lighting bring a tradition of luxury to an otherwise untraditional BMW.